The software is the critical part of your digital signage solution that affects the type of content you can display, the cost and the reliability of your system. 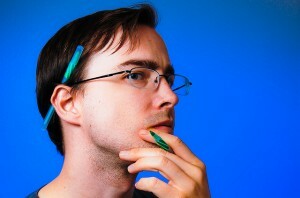 So choose it carefully making sure that it is able to serve your project’s needs. Here are a few questions to go through when selecting a digital signage software product. Does it allow you to get started quickly? The answer should be ‘’yes’’ for SaaS (cloud-based) applications like digitalsignage.NET that ought to be suitable even for DIY digital signage projects (provided you can handle the system’s installation). You should be able to set up your account within few minutes and manage your content (and displays, if you have them) seamlessly. When it comes to on-premise digital signage software that are usually more complex systems than their cloud-based counterparts, you will most likely need a demo and/or specific training to be able to use it independently. Are you offered the chance to test the software before subscribing/ paying? You won’t be able to truly assess the simplicity of a piece of software until you actually use it. Therefore, you should be offered a free trial before you commit any resources. This exercise will help you assess another important aspect – the quality of the customer support you are going to receive. Can you know where and when your files have been played? This feature enables you to monitor the system’s health remotely and be sure that your content has been played when and where you wanted it to. You don’t want to be running around from location to location checking that each screen is working or having to phone a thousand people to make sure that the system runs properly. The software should be able to do the work for you, offering an overview of the system’s performance (see how we do it in digitalsignage.NET). The reports prove particularly useful if you are responsible towards a third party like a manager or an advertiser that need an objective proof that a certain piece of content has indeed been displayed at the right time, on the right screen. Does the vendor have a proven history of successful, scalable deployments? Search for case- studies, reviews and press releases of the vendors you are assessing to see if they have solid-enough businesses for a long- term partnership. A company’s history is oftentimes an objective indication about its products’ quality and reliability. So do some detective’s work first before signing a contract. How flexible is the software when it comes to media support? When selecting your digital signage software, the types of files you can or cannot play must be a major consideration because eventually, they will affect the final output of the system. Choose a software that can play the type of media files you plan to use (videos- live or pre-recorded, photos, widgets, social media feeds etc.). Again, this question is mainly valid for cloud-based applications rather than on-premise ones. A good web-based digital signage software is written with the end-user in mind and so it should be intuitive and simple to use even for non- technical persons. Don’t commit any resources before testing it and seeing how it works for yourself. As you will be managing content on a daily basis or at least several times a week you need a product that you feel comfortable with and that comes with all the support you need along the way. 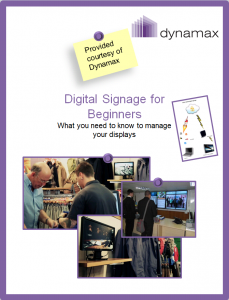 Discover more digital signage-related tips in our white paper ”Digital Signage for Beginners”. See how digitalsignage.NET works for you by setting up an account for free. This entry was posted in Digital Signage, Software and tagged digital signage software, digitalsignage.NET by Dynamax. Bookmark the permalink.